You are here:Home » Product Reviews » EHA Clinic Transforms Me Into Snow White With ReFirme ST! 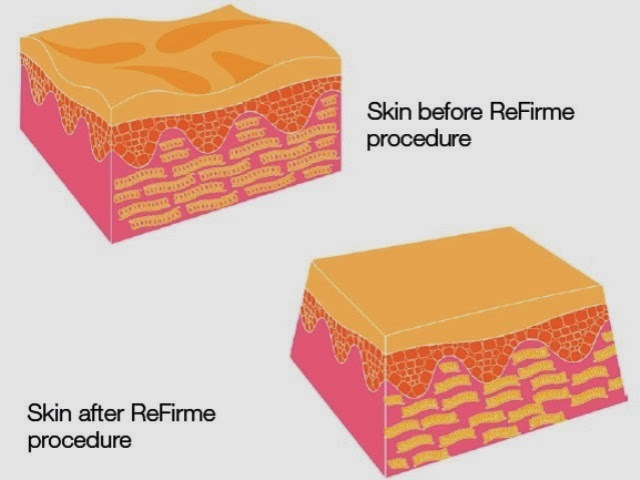 What is EHA ReFirme™ Skin Tightening? The unique combination of simultaneous bi-polar radio frequency and light energies of elōs technology generates the precise amount of heat in the dermal tissue within the targeted treatment area. By using these dual energies, EHA ReFirme™ is able to stimulate collagen production and produces a firming effect on the skin more effectively than using them separately. Wrinkles are reduced, noticeable lifting can be observed and the texture of the skin becomes smoother, more luminous and toned. Expect to experience an immediate lifting effect that makes the face noticeably younger and fairer while reducing fine lines and wrinkles. It also helps fade dark pigments and freckles while shrinking pore size and healing acne scars. My 2-hr session at EHA Clinic was relatively a fuss-free one. l was sleeping on a heated bed, feeling warm and comfy while being attended by the gentle and knowledgeable therapist, Winnie. The soothing facial began with the normal cleansing and then exfoliate, followed by a cold steam for about 10 mins. 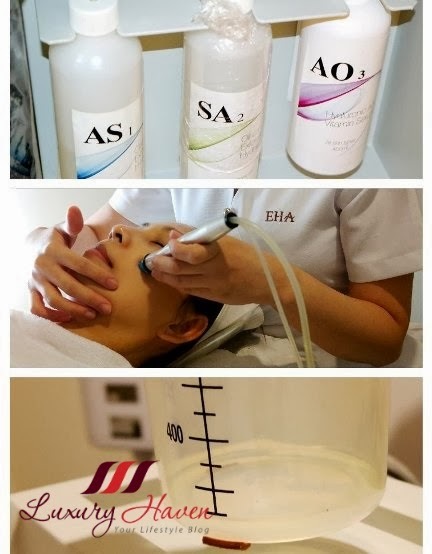 AS - (All Skin) Solution cleans the skin deeply while softening sebum and impurities to aid in extractions. It assists in dislodging dead cells for exfoliation and provides residual hydration that aids in firming and smoothing fine lines. SA - (Salicylic Acid) Solution is specially formulated for oily and acne prone skin. Its active ingredients include Pentylene Glycol and Spirea Ulmaria Extract to penetrate the pores and dislodge dead cells for exfoliation. AO - (Anti-Oxidant) Solution is formulated with stabilized Vitamins A, E, and White Tea Extract to combat free radicals and environmental damage to the skin cells. Following the Aqua ST commenced my ReFirme™ ST Therapy, covering both my face and neck. I was given a pair of goggles to protect my eyes, and cold gel was applied. The session took about 20 mins without any hiccups. After cleansing, my therapist then worked her hands to give me a face massage. By now, my face was already glowing! Can you see that? Winnie then picked up a big white round device, using the cold ultrasound to penetrate the collagen ampoules into my face. A collagen mask was applied on my face for about 20 mins. My facial therapy ended with the EHA Toner, Eye Cream, Moisturizer, and EHA Sun Shield 24HR. With EHA ReFirme™ ST, it's like having firmer skin without surgery. Please ignore my messy hair after Snow White woke up from her sleep. Check out the instant result! It was radiant skin with instant uplifting effect! Noticeable lifting can be observed and I was immediately transformed into "Snow White"! Just look at how WHITE my face was after the therapy; a huge contrast against my dark circles! If you've tried IPL, this treatment is somewhat similar - like "rubber band shots" on the face except that it's much milder and painless. 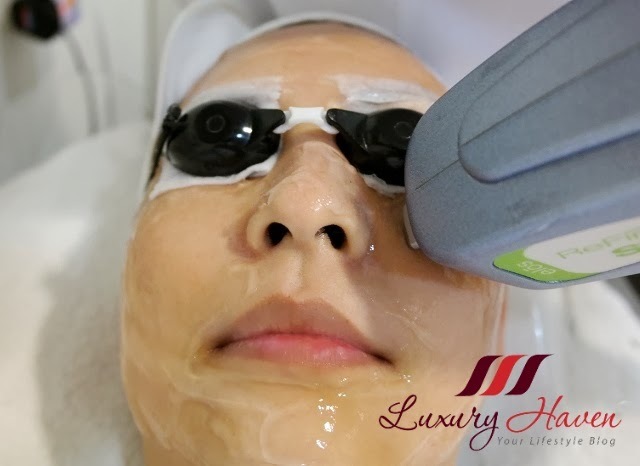 You'll definitely feel your skin tighter and smoother after the treatment. But in order to achieve optimal results, each ReFirme™ ST treatment should be scheduled 3 to 4 weeks apart for regular maintenance. Although the 2-hr EHA ReFirme™ Skin Tightening Therapy comes with a heavy price tag of SGD 368, it's certainly worth the investment in exchange for taking years off your age! 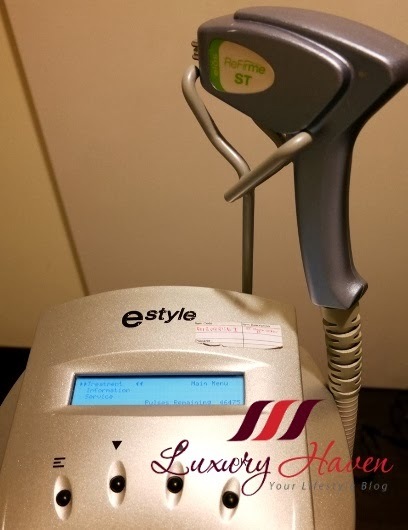 Besides, the EHA ReFirme™ Skin Tightening Therapy includes the Aqua ST, which is somewhat similar to Silk Peel, a micro-dermabrasion technology that provides both non-invasive exfoliation and delivery of topical solutions to to safely and painlessly cleanse, exfoliate, extract and hydrate the skin. Good news! Quote "Luxury Haven" for your 1st trial at only SGD 188! That's almost 50% off!! Call EHA now to book your Refirme ST and start the new year with beautiful skin! Rajiv, thanks dear! Have a wonderful week! Impressive treatment because I can see the effects on your skin. Wow I do see a difference great review impressive tutorial. What a nice pampering session you have there! Ken, thanks & Happy CNY to you too! Jen, I think you'll love it too! Your face does look fairer after the sleep. Envy me!! Rose, I was so surprised! Hahaha! I do, however, take Vitamin C for collagen and I'm a stickler for keeping my skin moisturized especially in the winter when it seems like the heat just never goes off. Thank you so much for sharing your experience Shirley. Now, time for food!!! Louise, that's so true! Beauty comes with patience cause you've to lie on the bed for 2 hrs. Hahaha! I guess it's much better than sitting on a chair like in a hair salon. Lol! This treatment does make a difference. I like the way you explain all the treatments that you take in detail. Subha, thanks & I'm glad you've enjoyed the tour! You look amazing, Shirley!! Snow White indeed. cquek, happy new year to you too! Diana, Refirme St is available in the US, so I reckon Europe should also have this fabulous therapy. I've to admit it's a wonderful treatment for our skin. You've a good week too, sweetie! WOW! That's the first thing I wanna say after I see the before and after effect!~ Cool! Kylie, hahaha! You're cool too! The product surely works on you, Shirley! As for me, I have not been to the saloon for more than 2 months now and my pigmentation has been actively "growing!" Needs lots of BB cream to cover up the marks... sigh..